The Waukesha Branch NAACP members hosted their 29th Annual Freedom Fund Dinner at the Brookfield Suites on Saturday, October 12, 2013. The 29th annual dinner theme was “We Shall Not Be Moved.” The keynote speaker was NAACP Washington Bureau Senior Vice President for Policy & Advocacy/Director Hilary O. Shelton, who spoke eloquently and succinctly on how the civil right organization has been “protecting the civil rights” for many generations since 1909 when the organization was founded in in New York. 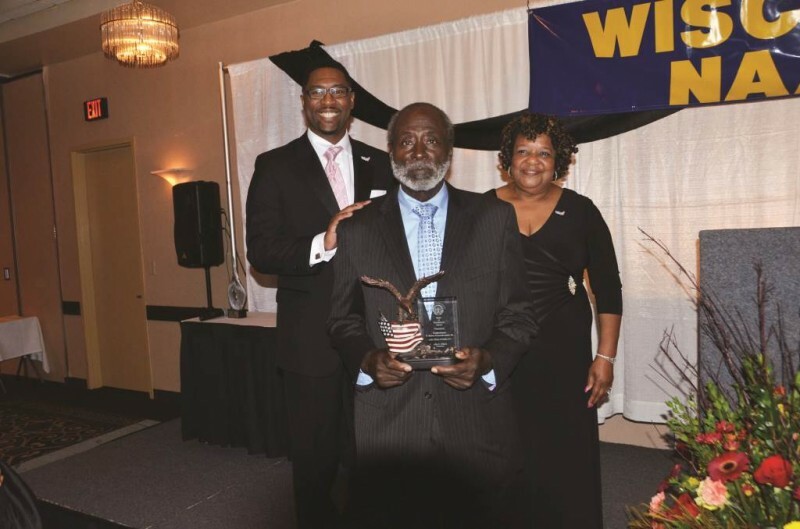 Pictured above (from left) are: Waukesha Branch 1st Vice President Montre Moore, Wisconsin NAACP State President of Branches Thomas E. White who received a “Lifetime Achievement Award” and Waukesha NAACP Branch President and NAACP National Board member Lillie Wilson.